Have you ever asked yourself why 20/20 is the standard for ''perfect'' vision and what it truly represents? The phrase 20/20 eyesight describes normal visual acuity or sharpness of vision. That is to say that an individual with such vision can see an object clearly from 20 feet away which is regarded as normal to see clearly from that distance. 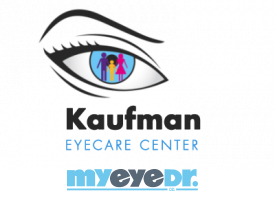 For those who don't have 20/20 visual acuity, their visual acuity score is designated according to the distance at which they are able to see sharply, compared to what is normally expected. For example, if your acuity is 20/100 that means that at a distance of 20 feet you can only see an object that someone with normal vision can see at 100 feet away. It's also possible to have vision that is above 20/20. For example someone that has 20/10 eyesight can see clearly at 20 feet an object that most can only see at 10 feet. Members of the animal kingdom particularly birds of prey have been known to have incredibly acute vision compared to the human species. A hawk for instance can have 20/2 eyesight, designed for locating prey from high in the air. An average vision test is performed by using an eye chart such as the classic Snellen eye chart developed by Hermann Snellen, a Dutch eye doctor in the 1860's. While there are now many variations, the chart usually shows 11 rows of capital letters which get progressively smaller as one looks toward the bottom. The chart begins with one capital letter – ''E'' and gradually adds more letters as they get smaller. During the vision test, the eye doctor will look for the line with the smallest lettering you can make out. Your score is determined since each line is assigned a distance, with the 20/20 row usually being ascribed the eighth row. For small children, illiterate or handicapped persons who can not read or vocalize letters, the ''Tumbling E'' chart is employed. At the same scale as the traditional Snellen chart, the ''Tumbling E'' shows only the capital letter E in different directions. The patient uses their hand to show the direction the ''fingers'' of the E are pointing: right, left up or down. Either chart must be positioned at a distance of 20 feet from where the patient is viewing it. Despite common perception, 20/20 vision doesn't show a person sees perfectly but merely that their distance vision is normal. There are many other necessary elements to make perfect vision such as peripheral sight, depth perception, focus for near vision, color vision and eye coordination to name a few. Although an eye exam with a Snellen chart will determine whether you require eyeglasses to improve distance vision it doesn't provide the optometrist a complete understanding of your overall eye and vision health. Make sure you still schedule a yearly comprehensive eye exam to screen for potential diseases. Call our office now to book a Boynton Beach, FL eye exam.